A low pressure, BB-1, has formed off the Odisha coast in the Bay. It is estimated at around 998 mb initially. Expected to move NW and merge in the Monsoon Axis. An UAC has also formed in the Arabian Sea South of Gujarat, at the 500/700 mb levels. This UAC, is expected to descend to sea level and maintain a circulation at the upper levels also. The UAC in the Arabian Sea and the BB-1 with its associated UAC will form an upper air monsoon axis running West-East between the 2 UAC's. The Sea Level Monsoon axis (Currently roughly along the Monsoon progress line) is now expected to move Northwards. The South West Monsoon is moving into Gujarat state, Southern regions of M.P., Chattisgarh., and central Odiasha. These regions will see the Monsoon advance on 18th June in totality. Very heavy rains are likely in Odisha, Coastal A.P. on Thursday and Friday. Potential of very heavy rains in Telengana and Vidharbh on Saturday and Sunday. The Monsoon will move into Bengal (Kolkata), and rest of M.P, and Odisha around 19th/20th June. The West Coast trough will strengthen and will have the UAC at its Northern tip by 19th June. Persistent gradient, and tilting lower with height, a Low will form in the Mid Arabian Sea almost W/SW off Gujarat State by 20th. City forecast for Thursday 18th, Friday 19th, Saturday 20th..
Mumbai: Wet Days ahead for the city. Next few days, Thursday, Friday and Saturday will see "on off Showers" in regular intervals. With an average daily rainfall of around 25 mms. We will review the situation and see the behaviour of the UAC and West coast trough next 2 days. But, as of today, for Sunday and Monday, I estimate an increase in Mumbai rains to a daily average of 80 mms . So, next 6 days (till Tuesday), we can expect 250 mms cumulative. Eastern Outer Townships of Mumbai will see increase in rainfall from Friday thru Sunday. Heavy showers on Saturday and Sunday. Pune: Pune, wait for 2 more days for rains to increase..Friday, Pune can expect fairly good rains , at least 25-30 mms with thunder. Again, Friday night thru Saturday will be rainy with another 60 mms. Cool day on Saturday and Sunday, not exceeding 25/26c. Surat: A comparatively dry patch of 3 days with little rain. Will be broken on Sunday evening with showers. Hydrerabad: Very heavy rauns expected on Thursday, maybe 70 mms. Cool day with high around 26c..rains extend into Friday..lessening by afternoon.Heavy rains possible on Sunday. Aurangabad: Expect heavy thunder showers on Friday and Saturday..around 30-35 mms on Friday and 20 mms on Saturday. Kolkata: As monsoon creeps into the City of Joy, Thunder showers expected on Saturday 20th and Sunday 21st. As the system BB-1 tracks away, we may see a decrease in precipitation Next week...keeping options open. Bhubaneshwar: With the Monsoon moving in, except for the odd thunder showers on Thursday, we see real increase in precipitation from Saturday (maybe evning). Raipur: With Monsoon advancing, increase in rains from Friday. Friday thru Tuesday will see daily rains and thunder showers. Around 75 -80 mms cumulative in 6 days. Days getting cooler from Sunday, to average 32c. Mumbai Lakes Position as on 17th June: Bhatsa 250, U.Vaitarna 51, M.Vaitarna 96, Modak 54, Tansa 10, Vihar 1 and Tulsi 2..Total 464 Mcum. We take and deduct 33% for leakages, wastage and minimum drawable level..so we have 310 Mcum Storage. Supply at 3.7 Mcum per day... Mumbai has 84 days water in Store...Source WRD Mah Govt...Credit Jayesh Mehta. sir any update regarding monsoon rains in karachi and sindh (pakistan)? Delhi may have sweltering days resultant to all this with monsoon at footsteps? Personally think Mumbai will get more than 25mm rains average next 2 days. 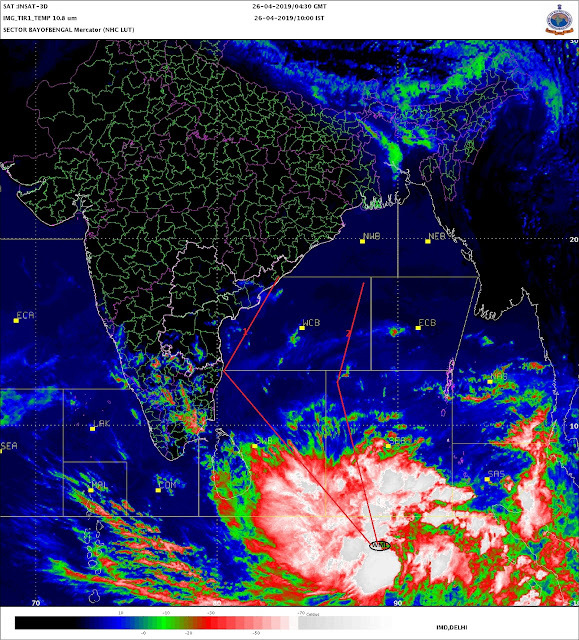 Extremely heavy rains in Orissa coast and south konkan next 2 days. We are getting heavy rain today since afternoon in mumbai..was stuck in traffic for almost 1 hour. Non stop rains in Belapur Navi Mumbai since yesterday night!!! Heavy lashing throuht mumbai.i thought comapre to IMD sky met and vagaries r good monsoon predictors.i think there is no problem of deficit rain in entire konkan and south india.heavy rain forcast in upcoming days in mumbai and konkan coast. Comparing last Jun 2014 with this June 2015 mumbai us witnessing heavy downpour...All over India monsoon as per imd till 18 06 2015 is 10% excess....early days to reach any conclusions bt let's hope this is better season for entire India against swm 2014. But on same time very less rain on ghats yet !! :( Ghat rainfall till 8.30pm today for last 12hrs..
Faraz Ali Khan: Still Sindh will have to wait for Monsoon..till end June. But, South Sindh coast will get some light rains on Sunday and Monday.Light rain or clouding possible in Karachi on Sunday/Monday.